I have a couple of bright and cheery cards to share with you today. 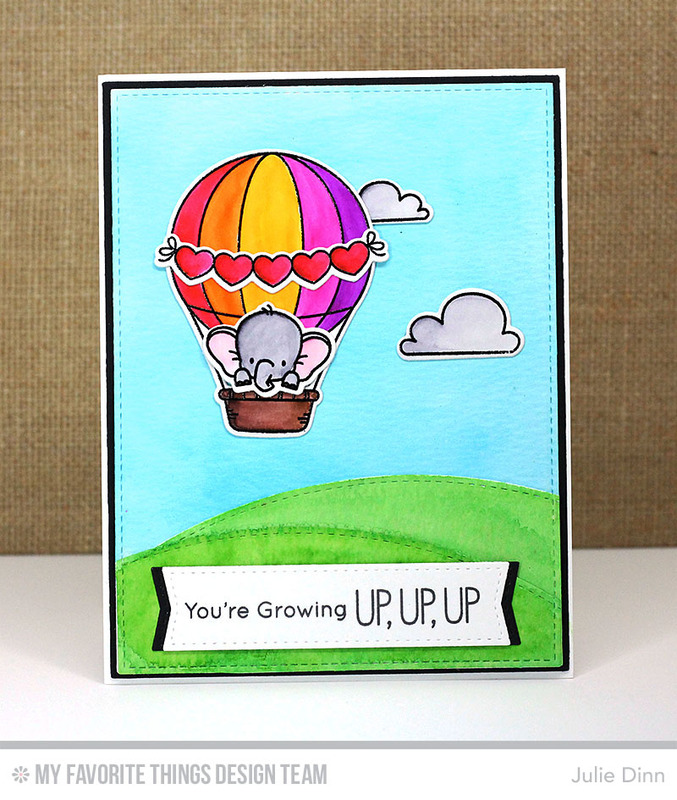 The first one features the adorable Up in the Air stamp set and Die-namics. I absolutely LOVE this set. The little critters that fit in the balloon basket are just too cute. 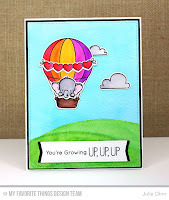 I stamped all the images in Versamark and then embossed them with black embossing powder. The images were then coloured with Zig markers. I love the vibrant colour you can achieve with the Zig markers. The hills and the sky were coloured with Peerless Watercolours. 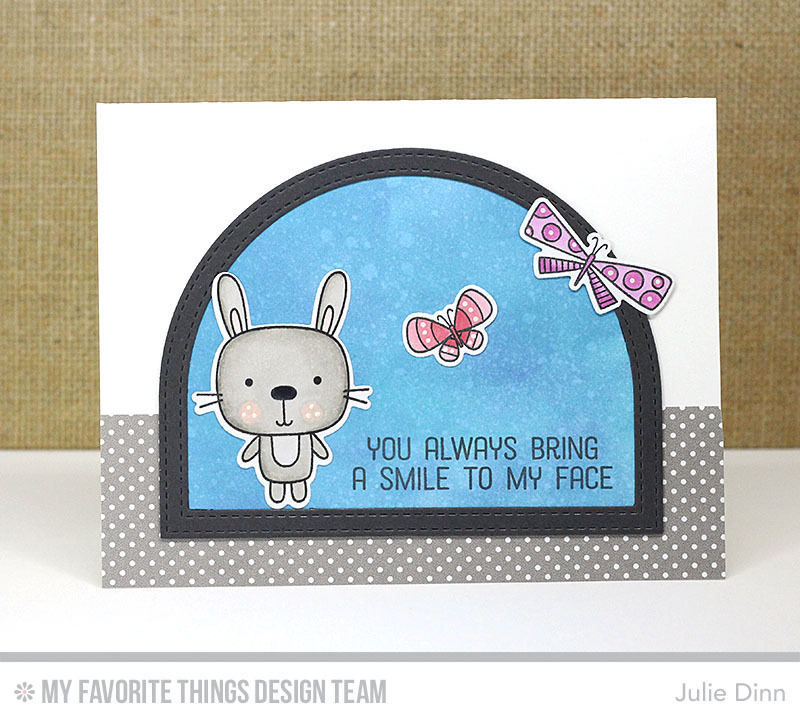 My next card features the sweet Springtime Critters stamp set. I stamped these images on X-Press It card stock and coloured them with Copics. I created the background with Broken China and Faded Jeans Oxide Inks. I finished off the card with a piece of Itsy Bitsy Polka Dot paper.